In November, I blogged about teaching ancient oral literatures at the beginning of a semester-long survey course in American literature. Here’s the follow-up on coming full circle from oral tradition (in weeks one and two) to contemporary Native American literature (in weeks fourteen and fifteen). Bookending a survey course with studies of Native literature is not only structurally satisfying, but finishing an American literature course with study of contemporary Native literature is also a good latter-half or latter-third of the semester review: since “contemporary” Native American literature is usually understood to include the 21st and 20th centuries, you could easily end up reviewing over a hundred years of the literary landscape. In other words, if the course has put Realism, Naturalism, Existentialism, Modernism, and Postmodernism on the table, turning to contemporary Native American literature gives you a chance to revisit any/all of these, but from a sometimes surprising standpoint. Students discover how the big moves happening in published Native literature sometimes align—and often don’t align, or don’t align in expected ways—with the canonical literary landscape they’ve been probing in the course. For example, scholars see “pairs of opposing foci”—a structural staple of Native American Renaissance literature of the 1970s and 80s—as a re-emergence of Modernist binaries. Indeed, Native American Renaissance texts often construct stark contrasts between rural/urban, reservation/city, white/Native, tradition/Anglo-European, etc., opening the door for class discussion to delve into the aesthetics and politics of reviving and repurposing Modernist techniques and methods of expression in a new cultural and historic moment. Below, I’ll introduce two critical resources helpful in teaching, lecturing, and shaping analytic discussion of contemporary Native American literature. Then I’ll touch on some of my own experiences and reflect on what worked… as well as where I dropped the ball. Simon Ortiz’s 1981 “Toward a National Indian Literature” discusses the way in which Native Americans have been adopting, adapting, incorporating, and repurposing colonial languages—especially Spanish, French, and English—on their own terms. “It is the way that Indian people have creatively responded to forced colonization,” writes Ortiz. And along with repurposing languages themselves, Native peoples draw on and similarly repurpose aesthetic patterns, literary tools, and textual practices of colonial origins. The thrust of Ortiz’s argument is that we must understand this particular fusion—the fusion of language adoption/repurposing with the continued use of oral tradition—as the foundation of Native American contemporary literature. Ortiz’s argument makes for rich lecture and discussion material in the classroom because it introduces students to a basic interpretive practice: part of an analytic encounter with contemporary Native American literature entails re-engaging knowledge of the basic literary features that characterize oral tradition. As I wrote about in November, Robert Bringhurst’s 2014 interview in Guernica Magazine foregrounds oral traditions’ (a) emphasis on the more-than-human world, and (b) its exploration of how “mythtime” interacts with “realtime.” These two characteristics give students something concrete to draw out, close read, compare across texts, etc. wanting to emphasize another genre (e.g., poetry, a genre with respect to which a westernized literary audience is arguably already comfortable discussing orality). On the other hand, many Native American writers contest westernized genre-boundaries, so bringing poetry to the table alongside Wurth’s arguments could be an interesting exercise. untrained, unfamiliar audience. In texts from the early 20th century, plot, action, and character development are all apt to be “interrupted” by explanation of cultural references and/or history lessons. Literature of the second wave (which corresponds with what is usually called—albeit problematically—the Native American Renaissance) tends to work with one general plotline: stories of individuated pain give way in the end to collectivity, shared consciousness, and realization of embeddedness across boundaries of time, space, and species. Wurth’s third wave is “language first” fiction; that is, stories and novels no longer bear the second wave’s burden of asserting communal healing, and instead prioritize lyricism. take a Native point of view as self-evident, thus requiring the reader to bring a degree of historic and cross- or multi-cultural familiarity to the table. Students seemed to find the most traction when tasked with returning to what they had learned about features of traditional oral literatures. They approached contemporary Native American texts as a scavenger hunt, seeking out evidence of emphasis on the more-than-human-world, mythtime, and realtime. Our most lively discussions revolved around describing and questioning these features’ functions in contemporary (as opposed to ancient, sacred) texts. The “active, ongoing presence of the past” became a theme for us, one students applied to pop culture references as well as to class texts. On the other hand, students had more trouble applying Wurth’s four waves as an interpretive tool—they wanted it to work as a roadmap. In other words, they sought firm dates to associate with each wave, and were game to seek out evidence of, for example, “language-first” lyricism in a text if that text was pre-designated as third wave. Lessons learned? I feel that Wurth’s schema would have been a better teaching tool if I had framed it more directly as grounds for debate. For example, asking half the class to argue that Louise Erdrich’s “Fleur” is most productively understood as second wave, and the other half of the class to argue that it is most productively understood as third wave—or that Sherman Alexie’s “War Dances” belongs more squarely to the third versus the fourth wave—would have positioned students to engage Wurth’s ideas less as a system of classification and more as an analytic lens. In Closing… Texts and Authors? The Open Education Database proposes this list of twenty Native American must-read authors. Ernestine Hayes, Debra Magpie Earling, Eddie Chuculate, and Eric Gansworth are four more I’m eager to mention…and of course I would be happy to supply additional authors/titles to anyone interested! 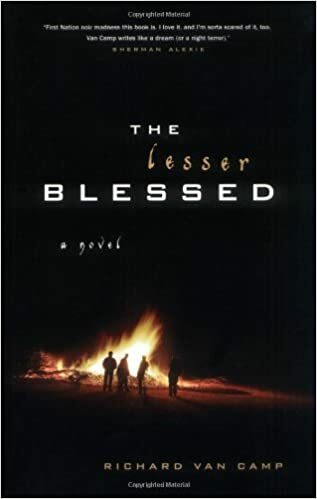 I am a HS English teacher looking for contemporary Native American novels to incorporate into an American Literature class. Trying to stay away from Alexie due to the recent allegations, but looking for other suggestions that include the theme of holding on to ones culture in a changing world. Hi Jeff: well, I’m almost six months late seeing your comment here but I do have a lovely list of contemporary Native American novels I’d be happy to share – if you’re still interested – do find me on Fb or email my ccook@yukoncollege.yk.ca.